Kent Paranormal will be attending an event run by Ghost Hunter Tours at Rainham Oast in Rainham, Kent on June 17th 2017. Reported Paranormal activity at this location includes chairs moving, bar shutters moving and a bad feeling when walking into certain areas of this building. An Oast House is a building used to dry fresh hops before they are sent to the brewers, to be used for flavouring beer. 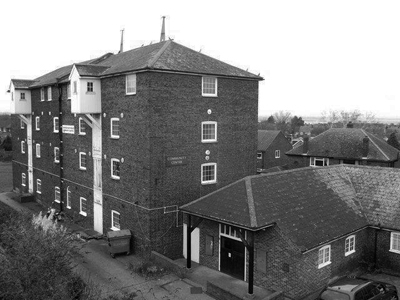 A traditional Oast House consists of the ‘oast’ and the ‘stowage’. The oast was a kiln, with a plenum chamber fired by charcoal at ground floor and the drying floor directly above. The steep pitched roof channelled the hot air through the hops to the top. The stowage, was the barn section, it had a cooling floor and press at first floor and storage area at ground floor. Two square kilns. The long three storey stowage and two hoists suggests that there were originally four such kilns in-line along the back.